ValuePlus is an intuitive Microsoft Windows based asset tracking and management solution created for managing assets in a single or multi-site environment. The product takes care of both the financial aspect and the physical aspects. 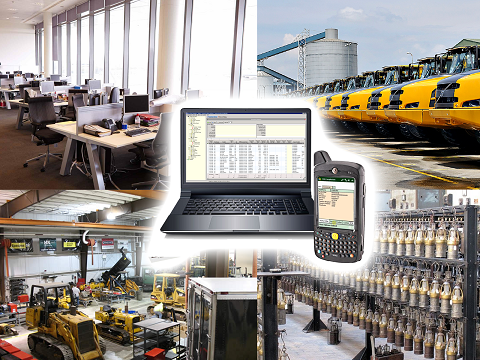 It utilises barcoding and wireless technology to simplify the task of locating, moving and counting assets. Multiple registers of cost and depreciation can be maintained allowing for book, tax and even foreign cost books to be maintained which is useful when catering for varying tax legislation and foreign operations. Budgeting and forecasting is made simple using the tools provided within the application and multiple parallel what-if scenarios are catered for. ValuePlus operates as a standalone solution, but may also be optionally integrated with third party ERP solutions such as Sage, SYSPRO or Pastel and various other enterprise resource planning packages. All master data may be managed in the ERP system and is read by ValuePlus. All transactions, i.e. depreciation or transfers, are captured within ValuePlus and reflect within the ERP system. ValuePlus provides full serialised tracking of the location of an asset using the tracking number, throughout the enterprise. The location information is held in a hierarchy enabling a reporting at multiple levels. The hierarchy could represent the physical world i.e. country, region, site, sub-location or it might represent logical concept such as an organisational hierachy i.e. division, cluster, business unit, department. ValuePlus was developed in order to cater for organisations that manage/utilise assets. The solution caters for the need to reduce operator error and improve realtime visibility of physical movements through "point of movement" data capture using mobile devices, barcodes and/or RFID. A further requirement for the package was for direct integration with existing ERP packages such as Sage, SYSPRO or Pastel. However the software caters just as well for integration at a journal level with reports producing both detailed and summarised journals for posting purposes. ValuePlus provides for seamless integration with third party applications using a single master data model view. All transactions and data processed within the third party ERP system are immediately visible to ValuePlus and vice versa.